– Everest and K2 in the Winter by alanarnette.com. – Would You Pay $95,000 to Climb Everest in Just 4 Weeks? – How Much Does It Cost To Climb Mt. Everest? Nepal is looking to put an end to the ongoing dispute over the exact height of Mt. Everest once and for all. This spring a team of surveyors will travel to the mountain to remeasure the height of its summit in an effort to determine its elevation as accurately as possible. The expedition has been in the works for several years now, but will finally come to fruition over the next month or so, with the results to be released in January of 2020. According to the Kathmandu Post, the survey team will measure the height of the mountain by collecting four sets of data: precise levelling, trigonometric levelling, gravity survey, and GNSS survey. In order to do that they will need to cover 285 points with 12 different observation stations set up across Nepal. Perhaps more importantly however, they’ll also be carrying a high tech GPS device known as a Trimble R10 to the summit. Once there, it will be installed and activated to collect precise data on that particular point on the planet. The process will take about ten minutes to complete, but should offer the most accurate measurement of the elevation after conducted. Just how accurate will this process be? According to Nepal’s Department of Survey this process should deliver a measurement that is within centimeters of accuracy. In other words, we should know exactly how tall Everest is within a matter of a few months to an astonishingly accurate level. This should put an end to any questions regarding the height of the mountain, perhaps changing the official number that has stood for more than 60 years. Ever since the mountain was first surveyed from a distance in the 1840s people have tried to get an accurate measurement on its height. Back then, it was estimated that Everest –– which was known as Peak XV at that time –– was exactly 29,000 feet (8839 meters) above sea level, but later surveys, conducted at closer range, determined the height to be closer to 29,029 feet (8848 meters) instead. This included not just the rock, but the snowcap on the summit as well, but that number stood as the official elevation until 1999 when an American survey team used a GPS device to get more precise measurements, anchoring the gadget to the bedrock on the summit. Their findings indicated that the mountain was actually 29,035 feet (8850 meters), which immediately brought into question all subsequent surveys. To muddy the waters even further, the Chinese conducted their own survey in 2005, using extremely precise measuring tools. They announced that the mountain was actually 29,017 feet (8844 meters). Of course, Nepal has a vested interest in determining just how high Everest truly is. The mountain generates a lot of money for the country on an annual basis, both with mountaineers coming to climb it and trekkers hiking in its shadow. Learning the true elevation of the peak isn’t likely to change that in any way, although there has been some speculation that K2 could actually be higher. That isn’t likely to be the outcome of this survey however and Nepal can rest assured that it will remain home to the world’s tallest peak. The team taking the Trimble R10 to the summit is expected in Base Camp on Everest next week. From there, it will begin the long process of acclimatization and climbing to the summit. That will likely take place around mid-May, with the rest of the data being collected in the days ahead. The Department of Survey will then spend the rest of the year collecting and analyzing that data. The plan is to finalize their report by the end of the year, with the official announcement to come in January of 2020. Earlier this year the Nepali government made headlines when it announced new climbing rules that prohibited disabled climbers from attempting Mt. Everest. Those new regulations were eventually challenges in the country’s Supreme Court, which eventually overturned the new laws. Now, the court has rendered its final verdict on this case, once again siding with the mountaineers. 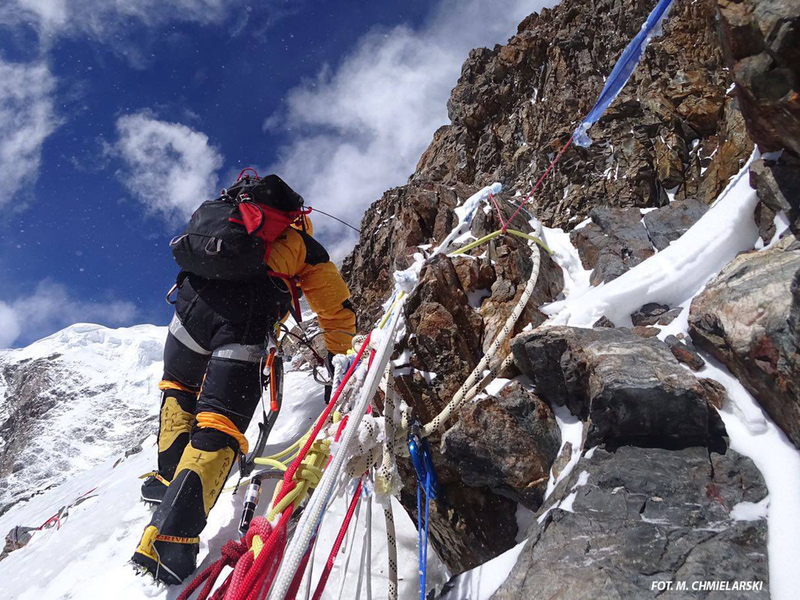 According to The Himalayan Times, the five-person Nepali Supreme Court, led by Chief Justice Deepak Raj Joshee has issued a verdict vacating the revised rules once and for all, clearing the way for double amputees and blind climbers to continue their expeditions into the Himalaya. The move comes after the Nepali government attempt to circumvent the earlier ruling of the court by interesting updated provisions into its existing mountaineer regulations. But a lawyer who represents several disabled climbers petitioned the court to block the move on the grounds that the regulations were a violation of human rights. The move has been hailed as a victory for disabled individuals from a number of camps, including former Ghurka soldier Hari Budha Magar who plans on making an attempt on Everest in 2019. If successful, he’ll become the first above-the-knee double amputee to complete that climb. Blind climber Amit KC says he’ll also make an attempt on the world’s highest peak next year too, after coming up short in 2017. This should bring an end to this controversy, which has been swirling around since last fall when word of these potential changes to the climbing rules in Nepal first hit the press. These regulations were criticized roundly when they were first revealed, as most believe that they did nothing to improve safety on Everest and only prevented a small number of climbers from actually making an attempt. On top of that, disabled climbers haven’t actually been the ones who have been dying in the Himalaya, so it was always unclear as to who these rules were protecting. Thankfully, clearer heads prevailed and the big mountains remain open to everyone who wants to give them a go. I’m back from Africa and will start posting regular updates again. A lot took place while I was away, particularly in the Karakoram where the summer climbing season is now in full swing. When I left, many teams were still en route to Base Camp, but now most have settled into place and have started their acclimatization rotations, although as usual in the big mountains the weather is dictating the schedule so far. The big news of the climbing season in Pakistan so far is the continued heavy snowfall. K2, Broad Peak, Nagna Parbat, and the Gasherbrum Massif has been hit hard with snow storms, depositing more than a foot (30 cm) of powder across the region. This has had the effect of keeping most teams in BC or Camp 1 at the highest, which is slowing down he schedules when it comes to acclimating to the altitude. As Alan Arnette points out, this isn’t necessarily all that unusual at this time of the year, but it could cause a traffic jam on higher sections of the mountain, and at campsites, once conditions do finally improve. Meanwhile, the heavy snow seems to have brought an end to at least one expedition so far. Mike Horn has left Base Camp on Nanga Parbat and it appears he won’t be going back. The Swiss explorer indicates that heavy snow higher up the mountain, along with a grim forecast, have caused him to pull the plug altogether. He was one of the first climbers to arrive on Nanga Parbat this year, but is also one of the first to head for home too. Furtenbach Adventures has checked in from Broad Peak where they are one of the few teams who managed to go all the way up to Camp 2 as part of their acclimatization strategy. Their Sherpa team has also already established Camp 3 further up the hill, but for now they’re stuck in BC like everyone else, waiting out the storm and hoping that the snow will settle enough that it is safe to climb higher. That may be a few days off yet however. Summer 2018: K2 and the Karakorum. Akira Oyabe’s North Japan K2 Expedition opened the Karakorum season earlier this month when they started fixing ropes for their attempt on K2. ExWeb takes a broad look at all the teams currently in the Karakorum, and what to expect this year. Although the second highest peak in the world, K2 (8,611m) sees only a fraction of the climbing traffic of Everest. Of course, “second-highest” does not bestow the same prestige to peak baggers wishing to brag about their conquest, but this is only a corner of the picture. In reality, K2 is different from Everest in every respect; in particular, its technical challenge and squirrelly weather. The 130km trek to the starting point of K2 is double that to Everest Base Camp. But where the hike up the Khumbu is undulating, and dotted with villages, tea houses and helipads, the trail to K2 is deserted and a sharp ascent from the start. Yes, Mount Everest is taller, but K2 is much harder. It is steeper and relentless, with higher risks of rockfall and avalanche. K2 has more unpredictable weather than Everest: Its imposing solitary stature generates a notoriously unstable microclimate, with temperatures at the summit plummeting as low as -50°C. All of this contributes to K2’s daunting 20 percent fatality rate, far exceeding Everest’s three percent. High winds and avalanche conditions frequently lead to seasons with no summits: In the nine years from 2009 to 2017, climbers have failed to summit in five of them. Last year, Vanessa O’Brien led the only successful party. However, more difficulty means a more coveted prize in mountaineering. Increasingly, the alpine world’s attention is turning towards K2, as Mount Everest becomes associated with commercialism and comfort. In addition to K2, the Karakorum contains another three of the 14 eight-thousanders: Gasherbrum I (8,080m), Gasherbrum II (8,035m) and Broad Peak (8,047m). 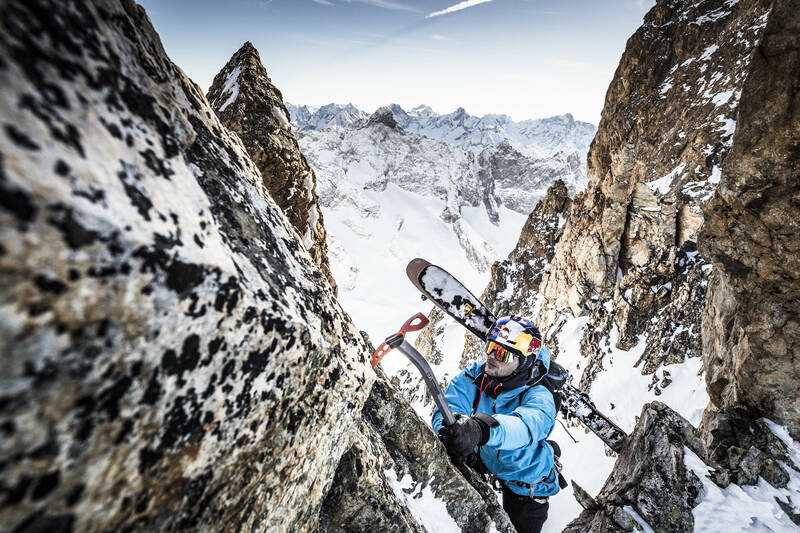 Countless other 6,000 to 7,000m peaks tempt the committed alpinist. The majority of climbing in the Himalaya happens in the short May window before the monsoon brings bad weather for the entire summer. Lying far northwest of the Himalaya, the Karakorum often – though not always – escapes the monsoon, and July–August is the best time to climb. This year, teams have permits for K2, Gasherbrum I-IV, Nanga Parbat, Broad Peak, Spantic Peak and Urdo Kangri II. 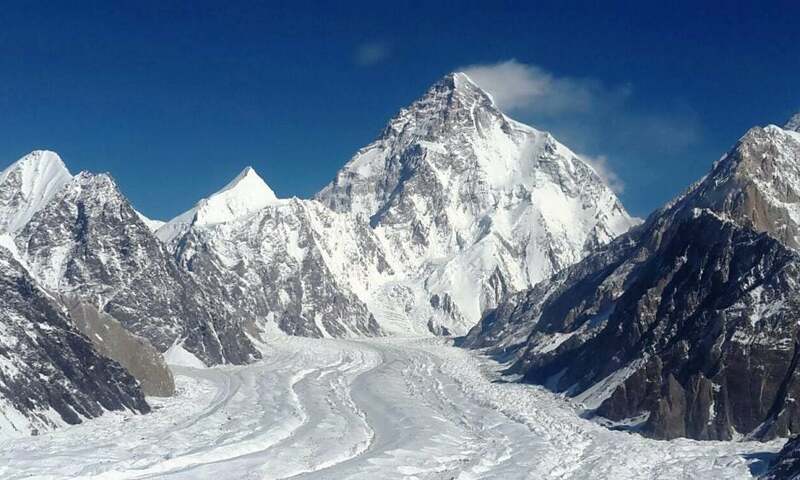 K2 will see the most traffic in the Karakorum, with 44 climbers that we know of. Team leaders on K2 include Akira Oyabe (Japan), Dan Mazur (USA), Sergio Mingote (Spain), Serge Dessureault (Canada), Rodrigo Vial (Chile), Roland Striemitzer (Austria), Garrett Madison (USA) and Hiroshi Kawasaki (Japan). Many of these teams also have permits for Broad Peak, which is often used as an acclimatization climb. Of note, Madison’s group includes the top Hungarian climber David Klein. If simply summiting the Savage Mountain is not enough, Polish skier Andrzej Bargiel returns this year for his second attempt at becoming the first to complete a ski descent of K2. At the head of the Charakusa Valley, K7 (6,934m) was ascended first by a Japanese team in 1984 and second by Steve House, who soloed a new route 20 years later. This summer, the ace German climbers Alex Huber and Fabian Buhl, who made the first free ascent of ‘Sueños de Invierno’ in Spain in 2016, have turned their formidable talents to K7. The combination of such an iconic mountain and such strong climbers piques curiosity about their exact plans. Raphael Slawinski, one of Canada’s leading alpinists, is also heading to Dansam (6,666m) and K7 with Alik Berg. Will 2018 be the year a new route is opened on K7? Testament to its technical difficulty, Nanga Parbat (8,126m) was first climbed in winter only in 2016, by Simone Moro, Ali Sadpara and Alex Txikon. This January, Nanga Parbat, or “Naked Mountain” in Urdu, shot into the news when Pole Tomasz Mackiewicz and Frenchwoman Elisabeth Revol bagged the second winter ascent but suffered snow blindness and altitude sickness during the way down. A rescue team of Polish climbers — flown in by the Pakistani army from their own attempt to make the first winter climb of K2 — managed to save Revol, but Mackiewicz perished.Since early this month, South African adventurer Mike Horn has been on the Diamir Face, making slow progress because of bad weather. Horn’s high-altitude CV already includes six of the 14 eight-thousanders. Also on Nanga Parbat, the adventure company Lela has organized a strong team of six, led by Peruvian Richard Leopoldo Hidalgo Jara and including veteran Turk Tunc Findik and Alex Gavan, the Romanian mountaineer who specializes in climbing without O2. Pavel Korinek returns to Nanga Parbat to lead an all-Czech team of nine to climb the Diamir Face. 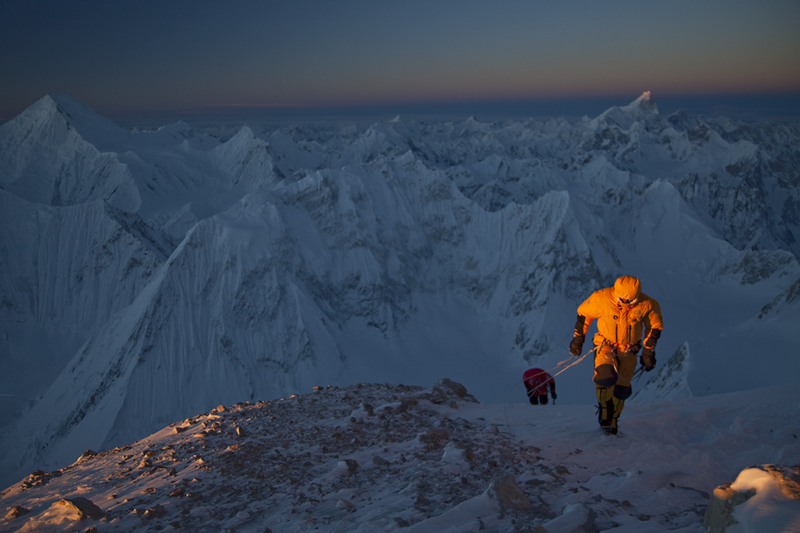 Sometimes called the “beautiful mountain”, Gasherbrum IV (7925m) has no easy routes. The legendary West Face, the “Shining Wall”, is recognized as one of the most beautiful and challenging in the world. Despite expeditions throughout the 80s, 90s, and more sporadically this millennium, there remain no established routes on the South or East Faces. At least four teams are on G-IV this summer. Maria Valdimirovna is leading another Lela expedition, which also has permits for G-I and G-II. Valerio Stella heads an all-Italian team of four. Finally, a three-man team of German Climber Felix Berg and Poles Adam Bielecki and Jacek Czech will first acclimatize on G-II, then head to G-IV to open a route on the eastern wall. So Karakorum 2018 may see more than one pioneering route laid down. First climbed by the Japanese in 1979, Latok I (7,145m) is notable for its extreme technical difficulty. This year, it has already seen turmoil, as a team of South Korean climbers required rescue from the North Face. There are also two three-man Russian teams on Latok I, led by Konstantin Markevich and 2015 Piolet D’Or winner Aleksandr Gukov. Last but not least, Ales Cesen leads a three-man Slovenian team. Cesen climbed the Northwest Ridge of Gasherbrum IV to reach the North Summit in 2016. Andrzej Bargiel Aims to Ski K2 – Diary part 1.
in the Diary : Andrzej Bargiel Aims to Ski K2. Andrzej Bargiel departured for his next adventure. This time, the aim will not be any of the eight-thousanders. 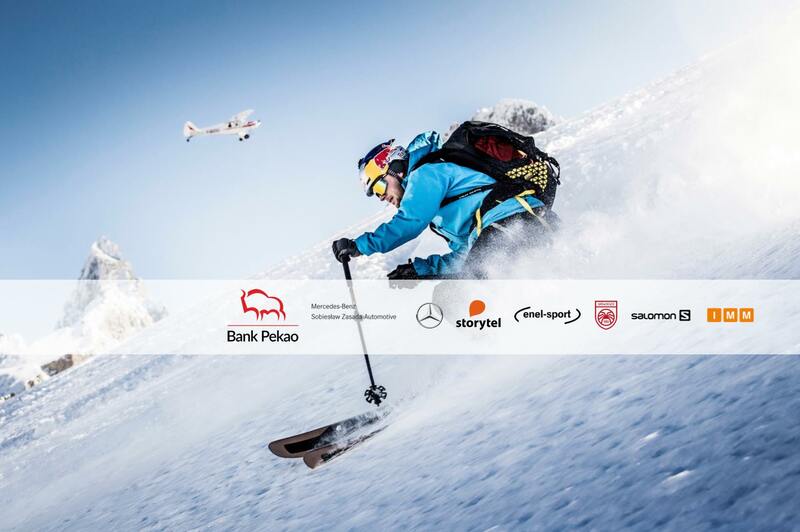 Nevertheless, the goal that the Polish extreme skier set for himself is even more ambitious than the previous ones. “This is definitely the most challenging expedition of my life” – he confirmed. The aim of the expedition is to conquer five highest peaks of the former Soviet Union, which is a prestigious mountaineering award called “Snow Leopard”. This is also the title name of the expedition. Previously some hundreds of climbers won the trophy but Bargiel wants to achieve this goal in his own style. 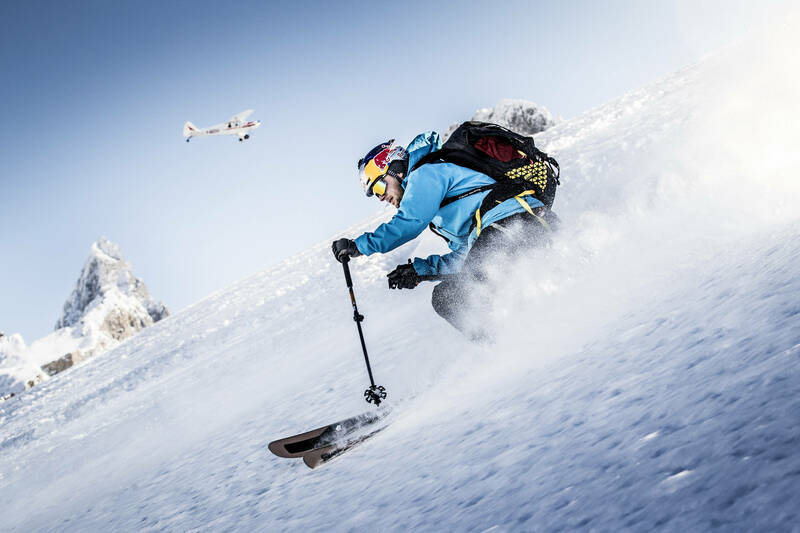 By using skis on his way up as well as during the descents, he aims to break few speed records. The uniqueness of this project is greatly enlarged by the fact that the expedition involves the presence of the CANAL + DISCOVERY crew – a strategic partner of the project – that will create a documentary series illustrating Andrzej’s struggles with an ambitious and dangerous challenge. The premiere of the series “Andrzej Bargiel – Snow Leopard” will take place in autumn on CANAL + DISCOVERY channel. The Snow Leopard Award includes five peaks reaching over 7000 meters. The first one, which Andrzej will face, after landing in the Kyrgyz capital Bishkek and transfer to the city of Osh, is situated in the Pamir range – Lenin Peak (7134 m). On the easiest of the five peaks the polish skier will probably spend the most time, passing the monotonous process of acclimatization. After a succesful summit, the crew will fly to Tajikistan to challenge the last two peaks on the list: Korzeniewski Peak (7105 m) and the highest peak of the country and the Pamir mountains – Communism Peak (7495 m). It is still commonly known under its former Soviet name, although since 1998 its name has been officially changed to Ismoil Somoni Peak. As fourth in line comes Pobeda Peak situated on the boarder between Kyrgyzstan and China, the highest peak in the mountains of Tien Shan, which is also considered to be the most dangerous one. Last, but not least, is Kazakhstan’s highest Khan Tengri (7010 m) with its capricious weather. We have reached Urdukas Camp, which is situated near by stunning Trango Towers…. Dotarliśmy do Urdukas, obozu położonego w otoczeniu przepięknej grupy wież Trango. Andrzej Bargiel Aims to Ski K2. Andrzej Bargiel shredding up the slopes in La Grave, France. Polish ski mountaineer Andrzej Bargiel is again heading to the Karakorum to try to become the first person to complete a ski descent of K2. Ski-mountaineers have tried to descend K2 in the past, sometimes with fatal consequences. Italian Hans Kammerlander had planned an attempt in 2001, only to turn around 400 meters from the summit after watching a Korean climber fall past him to his death. Nearly a decade later, in 2010, Swedish ski-mountaineer Fredrik Ericsson died after a fall near the infamous bottleneck section. Kammerlander has said that “somebody will do it, but he’ll need a lot of ability and a whole lot of luck”. Andrzej Bargiel climing in La Grave, France. This is Bargiel’s second attempt. Last season he abandoned due to high avalanche and rockfall risks. The video below shows some teaser footage from the build-up to the 2017 expedition. Bargiel is a seasoned extreme athlete who has previously skied Shisapangma and Broad Peak. This year, before attempting K2, he intends to acclimatize by climbing and skiing down Gasherbrum II, the lowest and most accessible of the 8000m peaks in the Karakorum. 16/06/2018, Bargiel landed in Skardu, the last stop in Pakistan before the Karakorum.